There is no stopping for the advancement, and technology boosts every single day. There is an uproar of new smartphones coming in every now and then & you cannot hold yourself from buying the latest phone for yourself because all of us have a deep desire to remain up to dated and to be classy. When it comes to make a choice that which smartphone brand is cooler I guess few names pop up in the mind and out of all of, the number one is supposed to be Apple which is producing some marvelous and ravishing iPhones over the years. Each year the most awaited iPhone comes up and bedazzle all of us, we cannot say what iPhone will unleash in the next year but we can certainly hope that it is going to blow our minds. Apple does not compromise on its popularity, it keeps on embarking with some stunning sets and devices that one is forced to buy them by all means. Now the rumor is in the winds that Apple is again all set to put the stage on fire with the new launch of a new iPhone 7 this year expectedly in September as always. 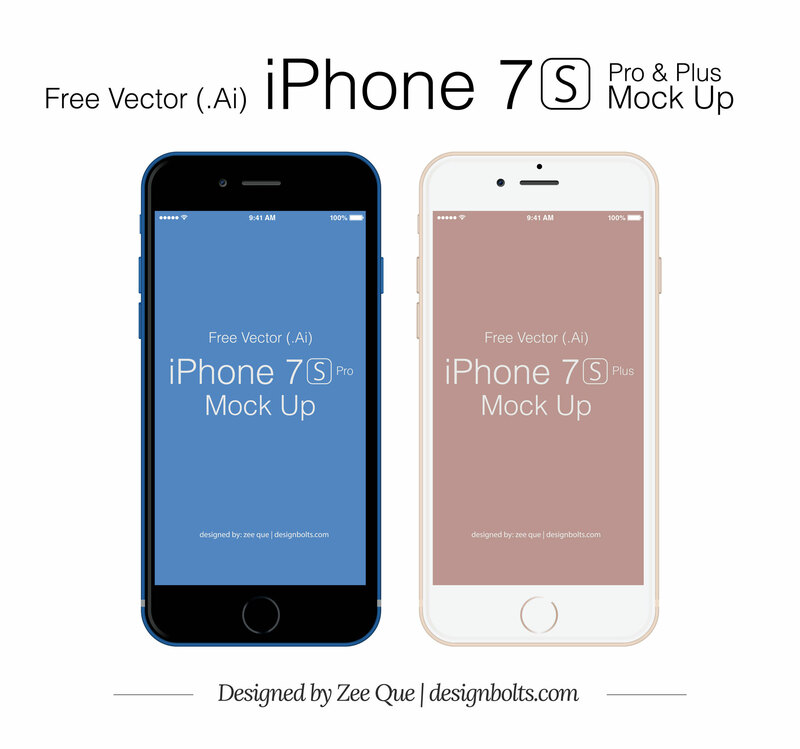 Here I am providing you free Vector Apple iPhone 7 Plus & Pro mockup that you can use in your projects. Well there is no astonishment or any surprise because we know the new iPhone 7 will be top notch and over the board. It will make new records and a new history with gazillions of buyers and trillions of admirers. We will keep posting about the release and specifications of iPhone 7 plus & Pro. Stick around for more tech, art and design posts, we have accumulated some amazing posts for the week, they are lined up and we are anticipating your feedback upon all of them. I hope you have a pleasurable time with us on the blog. Stay hooked to us and we will keep bombarding with some exciting posts that you will love to see. Check out the mock up and fasten your seat belts for the release of new iPhone 7s plus and pro.